Organizing a Prom party for schools can be tedious and time-consuming. Administrators and teachers have to sell tickets, raise money, organize voting, budget the whole event on top of their regular duties on school. 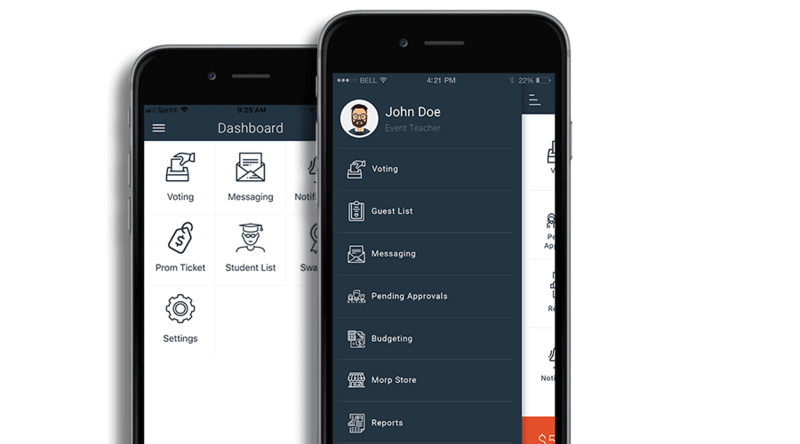 The prom app Morp, can help schools simplify the organization of Prom for their students. The prom app Morp, can help schools organize and simplify organizing Prom. It helps sell tickets, vote, raise money, check students into Prom and, budget the whole event. Teachers can create polls and see results live as votes come in. They can manage the prom’s list, message students just like the student can message the teacher. Teachers can send mass notifications for important information and can create all financial reports with the tap of a button.